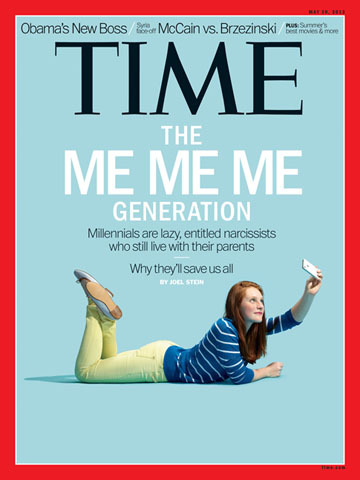 Or more accurately my response to Time Magazines May cover story: The Me Me Me Generation by Joel Stein, who claims that although millennials are lazy, entitled narcissists who still live with their parents…they’ll save us all. 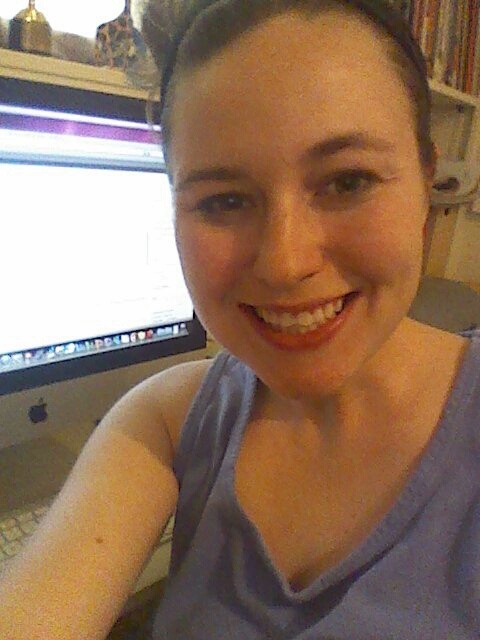 And since I am a millennial and I have a blog I had to respond, duh! 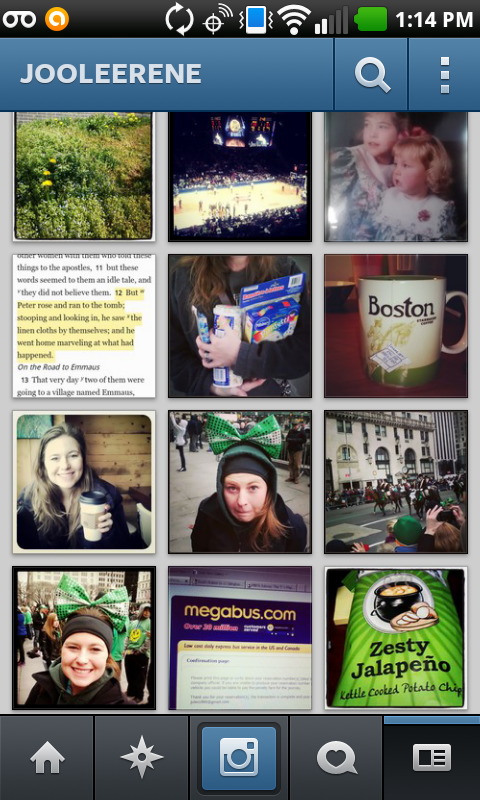 The story covers why we as the generation born between 1980 and 2000 are so obsessed with posting photos of ourselves on Instagram, send over 88 texts per day because god forbid something happens without us knowing, or why we can’t for the life of us move the hell out of our parents basement. First off I haven’t lived with either of my biological parents since I was fifteen and I haven’t lived at “home” for a year. I turned 23 in April. I was born slam in the middle of generation Me, in 1990. And I have few things to say because like duh I’m a millennial! For those of you who don’t watch Lena Duhnman’s show Girls the pilot episode opens with 20 something Hannah eating dinner at a fancy restaurant with her parents who sort of gently inform her they will no longer be supporting her life in Brooklyn. Hannah objects by basically saying she needs more time. Apparently this is the plight of every twenty something, although not many I know, but maybe her parents shouldn’t have supported her to begin with? Stein in his article brings up that new studies in the seventies claimed children with higher self-esteem succeeded more often. So our parents started feeding us lines like “you’re special”, “you can do anything”, and giving every kid a trophy just for playing the game. I’m not saying that’s bad, but I am saying maybe we’re not the ones to blame for our self obsession? Here’s the thing, I grew up with my parents telling me I was great, I was so smart and pretty, too. And my teachers all throughout school, even college, told me I was so smart and creative and sweet, just a doll. (I grew up in the south and people still to this day say “you are just the sweetest thing, just a doll!”) Then I got to an unpaid internship for my bachelors program and my supervisors said you’re okay but you could probably work harder on this and this and this. Which in reality were great criticisms that I took to heart and have made me a better social worker. But for the first few months at my internship I felt like I was floundering, but I’M GREAT I said, I’M SWEET and CREATIVE these people are just blind, they can’t see how absolutely wonderful I am! (This post is painting me in a lovely light). I mean why had every one told me I was great if it wasn’t true? So it had to just be this one person right? Wrong. The truth is I am great at some things and I need to work on others like every human, but I didn’t know that because everyone had only told me I was great. Not just my parents everyone. That’s right, teachers you’re to blame, too. We have grown up with everyone inflating our self esteem, of course we all think we’re awesome! Of course 40 something employers hate us, because they were raised to work hard for what they wanted, and we were raised that we’re fantastic give us jobs! You can’t really fault our parents though because they thought they were helping us succeed. And, if my friend circle is an indication (I have over 1,000 friends on Facebook), we’re doing okay. Maybe we do spend our days photographing and posting our food, our faces, our fun, but we also do really amazing things. We’re more educated than the generation before us, we are also more mobile, I moved to New York City with $1,000 to my name and I’ve done okay (my parents don’t support me BTW), we wait longer to get married but when we do we have more equal partnerships, we are more globally aware and we are more invested in global occurrences. And as Stein concludes we’re nice, we don’t resent authority, and we’re extremely accepting. According to Stein we’ve lost the ennui and irony of those 20 somethings who were 20 something in the 90’s. And when I read that I realized he’s completely right. I watched Reality Bites, which according to its movie poster is “a comedy about love in the 90’s”. I came across the movie on Netflix, cuz I live on the internet duh!, and as I was watching the “comedy” I kept thinking why are all these characters so cranky? Maybe that sullen sadness worked in the 90’s but these days 20 somethings seem much more optimistic and excited, I personally like that attitude much better! We may be lazy but we’re happy about it!